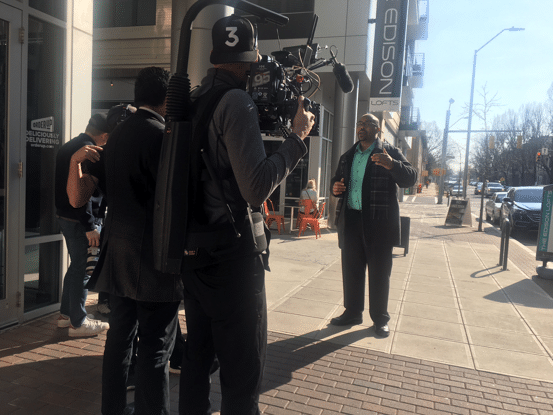 The ASL video crew recently headed down to Raleigh NC to film man-on-the-street corporate video interviews. the next day, our schedule was set, locations confirmed, we knew what to expect, and had a solid plan of action for our video marketing project. 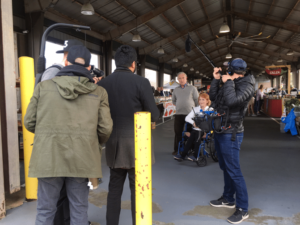 Along with our clients who were present to oversee the video production, our film crew consisted of two producers, a director, two camera operators shooting on Sony FS7s, an audio operator, and a grip / production assistant. Our client’s vision for this man-on-the-street style video was to capture heartfelt responses from the people we interviewed. To keep these corporate video interviews authentic, we didn’t cast our interviewees. Instead, we approached people on the street who met our demographic and prompted them to answer what the client believes is a very important question – Who are you responsible for? ing us their stories. 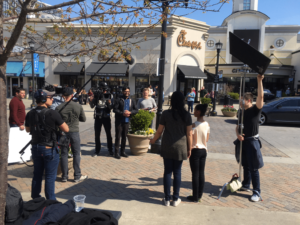 With two days of filming and multiple hours at each location, we could take our time in making sure we got the best answers from our interviewees. We were able to get high quality, authentic corporate video interviews from over 40 people during our two days of filming, providing our client with many options to use for the final video.